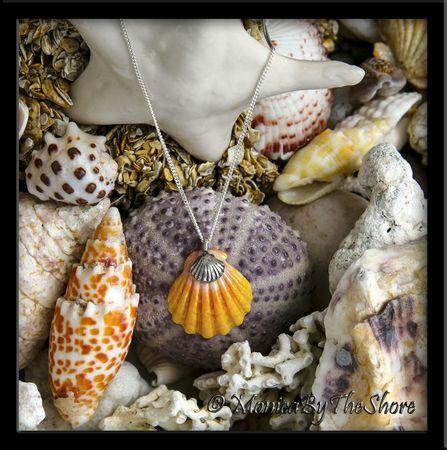 Sweet pink and yellow Hawaiian Sunrise Shell with sterling silver shell charm pendant! 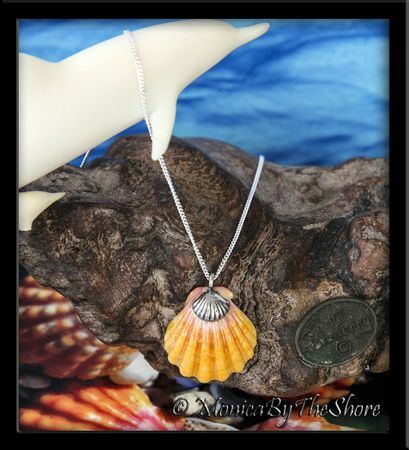 This classically colored Sunrise Shell measures 7/8 inch, and drapes from an 18 inch sterling silver curb chain necklace with lobster claw clasp. A unique seashell lover's piece of jewelry from the Hawaiian Islands!